Very rarely do modern cartoons reach 50 episodes, let alone 100. My Little Pony Generation 4 unveiled itself five years ago on October 10th. Little did creator Lauren Faust know it would become the pop culture smash it is today. It has gone through 4 seasons with no sign of stopping as we traverse through the fifth one with already Season 6 being confirmed! For the 100th episode, the team decided to do something truly special. The Mane 6 have always been the main characters, but fans have grown to like the side and background ponies just as much. For the first time, most of them get speaking roles. While it may seem odd at first to have the anniversary not be about Twilight and the gang, “Slice of Life” is a true celebration of the series. It shall go down as one of the most memorable adventures of the franchise. With Twilight Sparkle, Fluttershy, Applejack, Rainbow Dash, Pinkie Pie, and Rarity busy battling a monster, the rest of Ponyville scrambles to make it to a wedding on time. My Little Pony is one of those rare shows where the writers and directors actively listen to what the fans have to say. Unlike shows such as Hulk: Agents of Smash and Pac-Man and the Ghostly Adventures, the people actually care about the fanbase. The background ponies many fans have given names to which Hasbro have incorporated. Here for the first time we have Dr. Whooves, Octavia, Lyra, and Bon Bon all given roles and lines. This episode is made specifically for fans whom have been watching since Friendship is Magic Part One five years ago. To an onlooker seeing Derpy in the beginning might not seem like much, but for a longtime viewer it’s truly amazing. The premise is built around a wedding, which always makes for a nice plot point. The last time we had one was way back in the fantastic “A Canterlot Wedding.” The writers truly know how to do the ceremony well. It is amazing how each background character is utilized. Derpy is fantastic, having her first speaking role since the Season 2 episode “The Last Roundup.” Her klutzy but cute personality never gets old. Dr. Whooves is arguably the main character, and the Peter New did a terrific job voicing him. Writer M.A. Larson even manages to poke some fun at the confusing name changes, such as with Bon Bon/Sweetie Drops. One could say the episode was a bunch of fan fics put together, which is absolutely a good thing here. It was great seeing characters like Amethyst Star and even Steven Magnet brought back after so long. 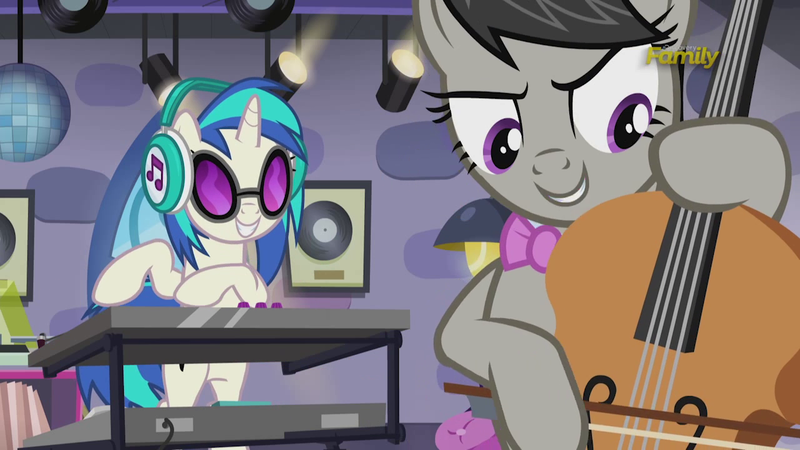 The music scene with DJ Pon-3 and Octavia was a lot of fun. Despite not being the focus, the Mane 6 still share one fantastic moment at the end. It would have actually nicely served as a fine final episode to the series with that part. The monster Bugbear was a pretty cool creature. While it was disappointing we didn’t see how the Mane 6 defeated it, the viewer is so glued to what’s happening in the wedding between Matilda and Cranky that the viewer almost forgets to care about that part. The pacing is excellent as each character gets an adequate amount of screen time and dialogue. It’s one of those stories where you don’t want to end. Overall, “A Slice of Life” celebrates everything that makes My Little Pony such a great show. It’s an episode for the fans as we see characters whom viewers have given personalities to for years take center stage for the first time. Almost every scene brought me a smile, and by the end it’s one of the most heart-warming adventures yet. It’s an episode which should be in everyone’s top 5 best of the series. Here’s to another 100. The best episode they made yet, 10/10. 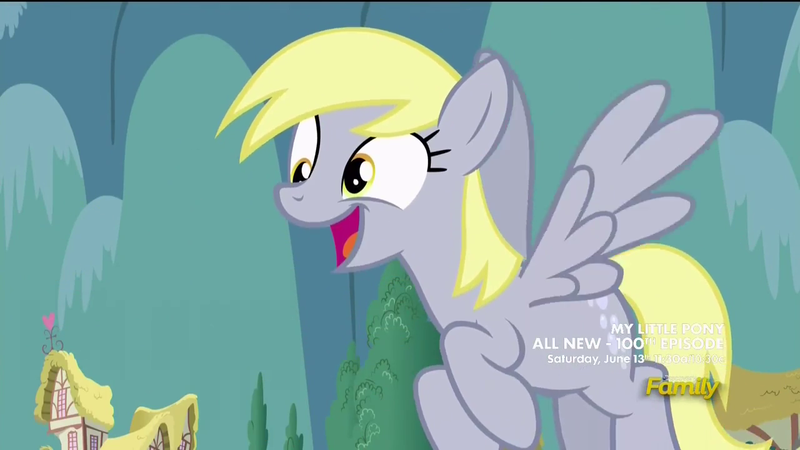 Plus, Derpy finally has an official speaking role! OMG PONIES FROM THE BIG LEBOWSKI CAMEO!!! Best episode? More like the WORST! There I said it. I hate Slice of Life from start to finish, period.